This time, I'm going to share my cute wordpress smiley / emoticon for free. As we know, wordpress enable to insert smiley in post or comments. But you may be bored or want to replace the smiley with a cuter or funnier images. There are so many free emoticon packs are available on the internet. If you're using wordpress for your blog, you have to download smiley packs for wordpress, get one here. To replace old wordpress default smiley, simply upload your new smiley pack to wp-includes/images/smilies. 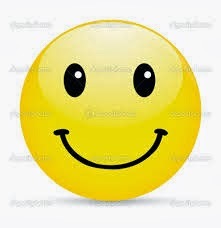 It will automatically replace the old smileys and show a new one. If it doesn't, clear your browser cache. Please keep in mind, the wordpress smiley will be replaced after every wordpress update. Always make backup of your smiley and re-replaced with yours. You can also download my wordpress emoticon here. It's free!